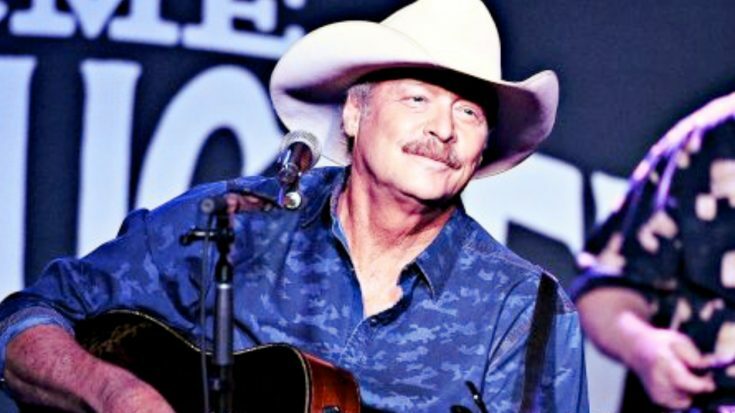 After all these years in the business, Alan Jackson is still going strong. The Country Music Hall of Famer finds himself traveling a large chunk of the year, as he tours from city to city to treat his fans to all of his signature songs. Jackson’s current tour has dates scheduled throughout the spring, summer, and fall. Unless additional stops are added, the tour will conclude on September 21 in Jacksonville, Florida. Originally, Jackson only had two shows scheduled for the month of September…the one in Jacksonville and another in Orlando on September 20. But the seasoned singer recently added two additional shows to that month when he was forced to postpone shows scheduled for Friday (April 12) and Saturday (April 13). The decision to postpone the shows was clearly a sudden one, as Jackson was still promoting the original dates on his Facebook page just a couple weeks ago. So what’s the reason for the sudden postponements? The Oklahoma City concert, which was originally scheduled for April 12, will now take place on September 14. This is the second time that Jackson has been forced to postpone this particular show. It was originally scheduled for October 2018, but he pushed it back to the April 2019 date following the unexpected passing of his son-in-law, Ben, in late September 2018. It's with grateful hearts that Denise and I want to thank our friends and fans for the outpouring of love and prayers during the hospitalization and ultimate passing of our son in law, Ben Selecman. Ben was a southern boy who loved hunting and fishing and just being outdoors. His childlike enthusiasm for each new day was contagious to everyone around him. He was the godly young man that Denise had always prayed for for Mattie. Ben we love you. Rest In Peace until we see you again. 107.9 BULL states that tickets from the Omaha show’s original October 2018 date and the April date will both be honored at the newly rescheduled show in September. Jackson’s current health issues must have sprung up quickly, since the singer just stepped out less than two weeks ago to perform at Loretta Lynn‘s star-studded 87th birthday bash. He performed a couple of times throughout the show, once solo and once with longtime friend Lee Ann Womack. Together, the pair sang Loretta’s unforgettable duet with Conway Twitty, “Louisiana Woman, Mississippi Man.” Check out that performance below. We’re sorry to hear that Jackson had to postpone his shows, but we understand why. It’s important for him to take care of his health! We wish him a quick and complete recovery.